And once your research is done, you can start optimizing your content for those keywords, so it appears in the top search results. Sure, there are plenty of tactics you can use to boost your rankings but it all starts with this. In time, your efforts could result in a significant increase in traffic to your blog. 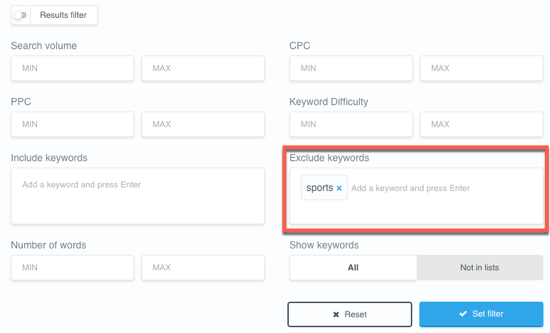 Before we cover the keyword research process in depth, we’ll take a look at what keywords are, the different types of search queries that exist, and the difference between short and long tail keywords. 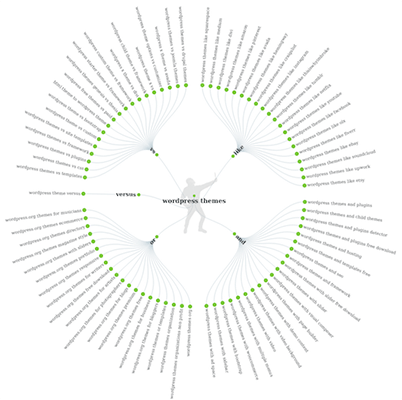 Keywords are words and phrases that describe what your content is about. In blogging and SEO terms you can think of keywords as the linchpin between what people are searching for – their search queries – and the content you are providing. In a moment we’ll take a look at the different types of keywords, but first, let’s look at search queries. Google will recognize your search intent is for a quick hit and will only display the top 7 results rather than the usual 10. Try it and see. 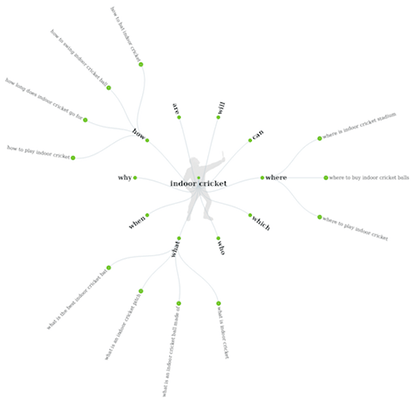 An informational search query is all about people researching topics and finding answers. Hence it’s also called the ‘Know‘ query. A transactional search query is used when people are ready to make a buying decision or become a lead. These are called ‘Do‘ queries because an action is imminent. Notice how these are more specific and punchy. That’s how I thought it worked back then. Now I know different. A keyword can be one or more words. Short tail keywords usually consist of one or two words; for example, ‘WordPress themes’. These keywords are broad and generic, but often ambiguous, with a high search volume. Middle tail keywords usually consist of three or four words; for example, ‘WordPress themes for blog’. They are more specific than short tail keywords but have less search volume. 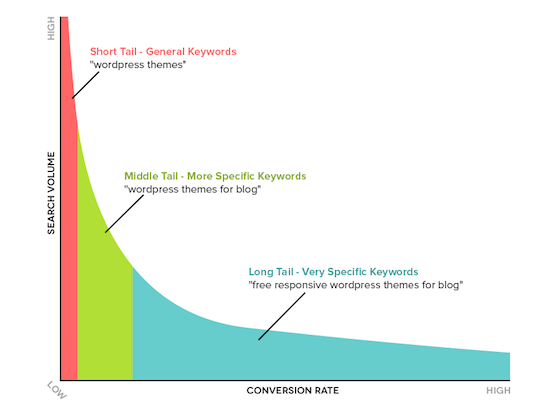 Long tail keywords usually consist of four or more words; for example, ‘free responsive WordPress themes for blog’. These are more detailed and very specific, but the search volume is even lower. I’ve used the term ‘usually consist’ because the number of words is not important. It’s the search volume and specificity that determine whether it’s a short or long tail keyword. You’ll notice the conversion rate increases as the ‘tail’ increases. That’s because long tail keywords have more chance of matching the search query. It’s easy to be seduced by the high search volume of short tail keywords, but they usually face fierce competition. 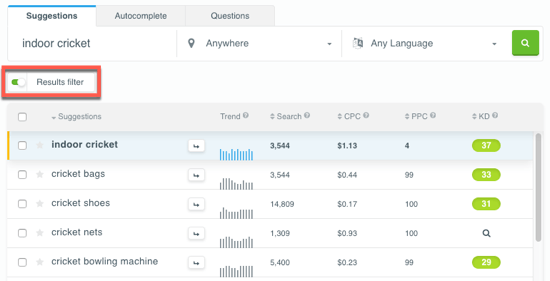 Later on we’ll look at evaluating search volume and competition in your keyword research, but for now, you can see it’s better to use medium and long tail keywords. 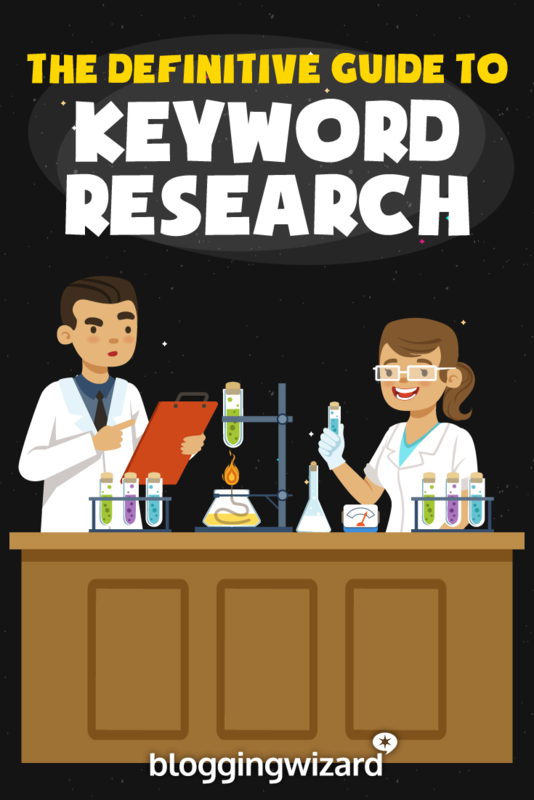 Now you know about the different types of search queries and keywords, it’s time to dive into keyword research. I recommend using a spreadsheet (Excel or Google) to keep a record of your keywords as you go along. As we move through each step, we’ll take a look at some of the other tools you can use to help you. To start your keyword research, you’ll need some seeds or ideas. The goal here is to find the words and phrases that your audience and customers are interested in and using. You need to go hunting. But where? Checking customer reviews on Amazon provides plenty of ideas as to what people are interested in. So, for example, if you wanted to find ideas for content marketing, you could check Content Chemistry by Andy Crestodina (which I highly recommend). 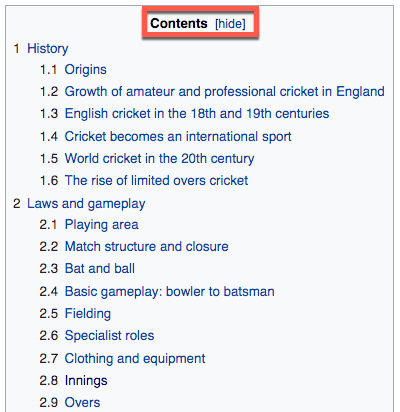 Wikis are an excellent source of ideas that are all curated and arranged into categories. 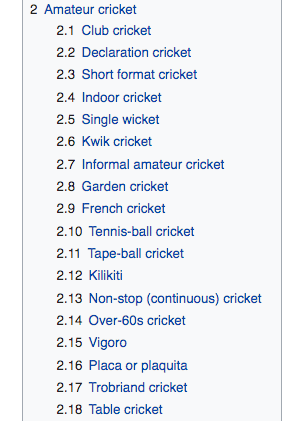 Here’s how to use Wikipedia to find some ideas on the topic of cricket. You can scan through your email outbox to see if any topics come up consistently. These are good ideas for web content. People want answers to questions, so use what you’ve already written. Let’s take a look at how you can use them. The KWFinder (aff) tool is available on a limited free plan or a choice of monthly subscription plans. Suggestions uses the KWFinder database and algorithm and is the main option. 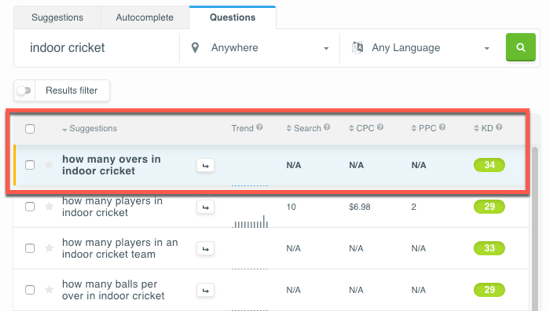 In this example, there is no search volume trend data. 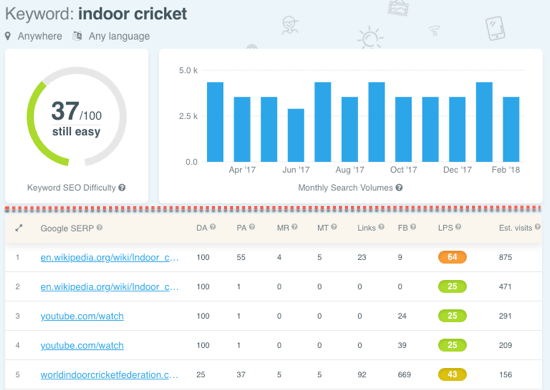 Let’s take the example from earlier and use ‘indoor cricket‘ as our starting point. Next to the keyword, you can enter your Location and Language. For instance, you may want to enter ‘Germany‘ and ‘German‘ if your website is designed for that market. Please note that a lot of these metrics have been created by third parties (such as Moz). This means that it’s another company’s interpretation of what Google might think about a page or website. Ultimately, it’s what Google thinks that matters, so use these metrics as a reference point only. And avoid using them as a factor in the making of any important decision. We’ll talk about how you can use these metrics later in this post. There are three ways to manage your keywords in KWFinder, no matter which option you use. 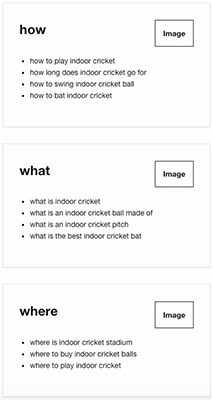 This is useful for adding the Seeds and Ideas from Step 1 in the Keyword Research Process. 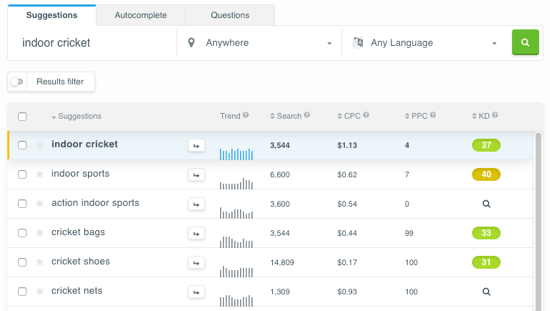 You can also export your keywords from either the Suggestions table or your keyword lists. You have the option to export to a CSV file (with or without metrics) or copy to the clipboard. Answer The Public is a free research tool that also extends the autocomplete results you see in Google and Bing. Questions – what, where, why, which, how. Prepositions – with, to, for, like. Comparisons – like, and, or, vs.
Alphabetical – a, b, c, etc. You can download the complete results in a CSV file, using the button in the top-right corner. Or you scroll down the page where you’ll see the results presented in two easier-to-read formats. Answer The Public generates more suggestions and questions than the KWFinder options. Save and use those content ideas to check further in KWFinder where you also have the metrics. 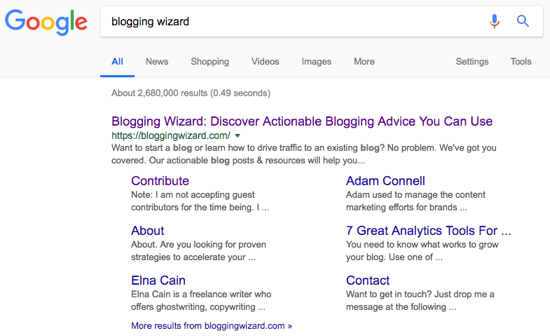 For more tools, check out my comparison of keyword research tools here on Blogging Wizard. By now you should have plenty of keywords, but there’s one crucial step remaining: the evaluation. What’s the point in using a keyword that nobody is searching for? What’s the point in using a keyword if nobody is going to see it? 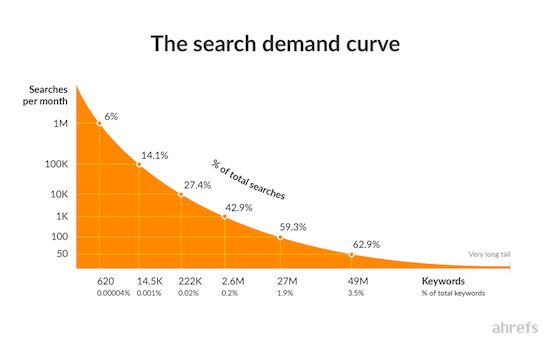 Search volume is always an approximate value. Whether you use a free tool or a premium tool, there will be differences in the search volume results they return. Which is odd, because most keyword research tools get their data from the Google Keyword Planner (GKP) either directly or indirectly. Ahrefs is not included in the comparison as it uses a combination of clickstream data and GKP data to produce its results. The underlying reason for this discrepancy is that the search volume in Google Keyword Planner is a rounded annual average, which means they re-calculate it every month. But many of the tools using the GKP data don’t recalculate every month, so their figures become skewed. If your keyword has a high seasonal variation, and your keyword tool doesn’t recalculate it, then you’re looking at false data. For instance, how many people search for ‘Christmas gifts’ in July? Search Volume is not equal to Search Traffic. 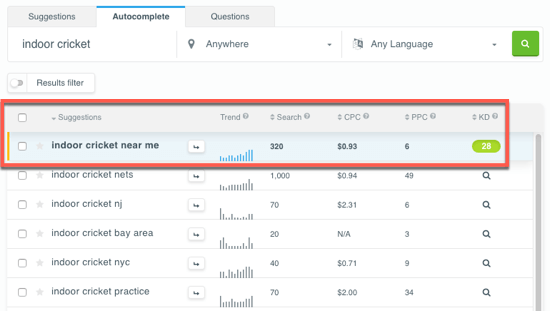 Just because a keyword gets a lot of searches doesn’t mean it gets a lot of traffic; i.e. not everyone clicks on the search results they see. I know I don’t, and I’m sure you don’t. Based on search volume, you’d think that ‘SEO tips’ would get twice as much search traffic than ‘submit website to search engines’ – but it doesn’t. It’s always good to know what the competition is for your keyword. 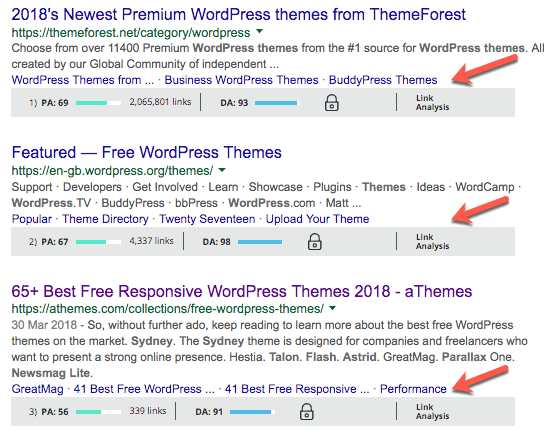 If you remember the KWFinder example from above, it includes a list of ‘competition’ metrics for the top positions in the SERPS. That’s certainly one way of checking the competition, and it’s a time-saver for you as everything is in one place. But if you want to make your own investigation, you can. 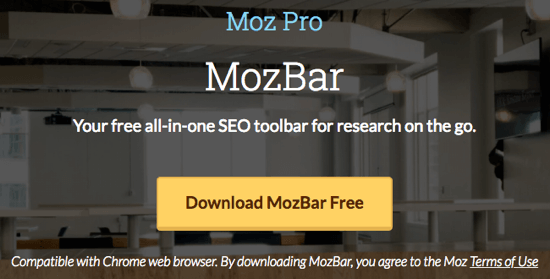 The first score on the MozBar is PA (Page Authority), and that’s because it’s the most important. Google doesn’t rank sites…it ranks pages. So, how does it rank on the first page? It’s probably helped by the next factor. Google loves ranking pages from major authority sites like Wikipedia and Amazon. Some of the pages on these sites do have legitimate page authority as well, but often a page can get ranked in the Top 10 just because of its domain authority. When you evaluate the competition, look at the combination of Domain Authority (DA) and Page Authority (PA). In our example above, the PA=32 and the DA=58. Even so, it’s still low on another factor. Sandwiched in between the PA and DA on the MozBar is the Links score. Not all links are equal, and those coming from high authority sites have more power than those from low authority sites. Don’t get too hung up about links, just be aware they exist and some high powered links will help your cause. The final consideration is how well-structured the content is for the keyword, often referred to as On-Page SEO. These are not all absolutely necessary. And you shouldn’t cram your keyword into those places. Google’s focus is on user experience, so keywords should be added only where it makes sense for the user. 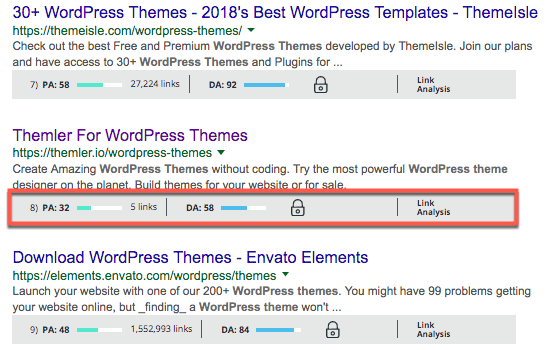 You should also make some manual checks to see if the content has related keywords elsewhere on the page, and to check how useful the content is; i.e. does it have images/video, references/links to authority sources, related subtopics, and internal links. Expect to see some high authority sites like Wikipedia and Amazon in the Top 10. Look for weaker pages with low PA that you can target. Optimize your content naturally and build authority over time. 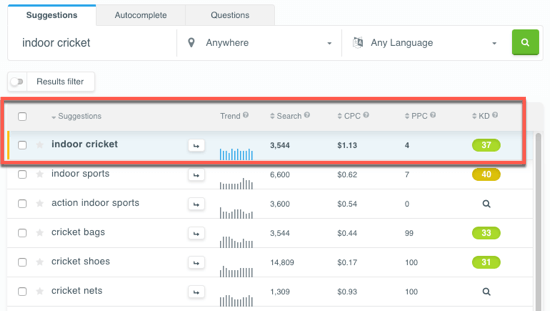 The idea behind this metric is to let you spot low-competition keywords that you can out-rank. Unfortunately, each vendor calculates its keyword difficulty score differently, although most will involve the factors above like authority, links, and trust. Evaluating search volume and competition is essential, but it’s also relative. 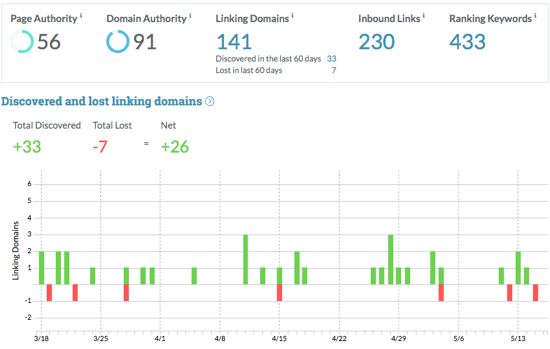 When you start a new site, you start with zero domain authority. It takes time to build authority, but when you create more high-quality content, you’ll gain more high-authority links. Plus your page and domain authority will increase, too. So, now you have all these keywords what are you going to do with them? Well the whole idea of keyword research is to find what content you can rank for. Like we said earlier, what’s the point of writing content if nobody is going to see it and read it. 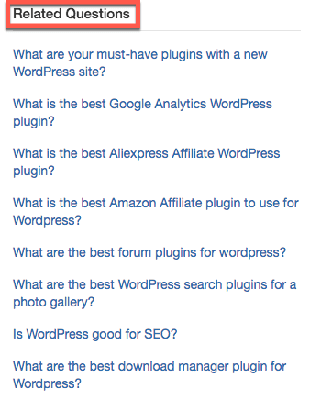 In the bad old days, your next step would have been to stuff as many of your keywords as possible into your content. The reason for that was because Google needed to know what your web page was about. And the best way was to keep repeating the keyword until it understood. But now, you don’t have to do that. Google has grown up. And it’s become smarter. When Google introduced its Hummingbird update in 2013, it said that it wanted to understand the meaning behind search queries (search intent) rather than matching specific words to page content. Pages matching the meaning do better than pages matching just a few words. Google now prefers detailed content covering topics, rather than short content targeting individual keywords. Don’t worry. You can still use your keywords. It’s just a case of sorting them into topics. For instance, the term ‘wordpress themes’ is so vast you could dedicate a whole website to it. So you need to break it down into topics. As you start writing the content for any of these topics you will naturally add more related keywords. That’s good, and it’s what Google wants. Google is looking for the best answer, with the most relevant and detailed content. Congratulations – You made it to the end! Take your time to go back and review each section. 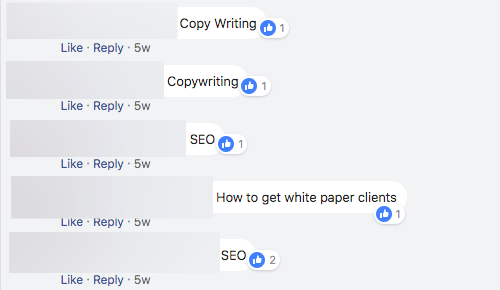 Start working your way through the keyword research process, and remember to use keywords as a guide for your content topics, not as the be all and end all of your writing.